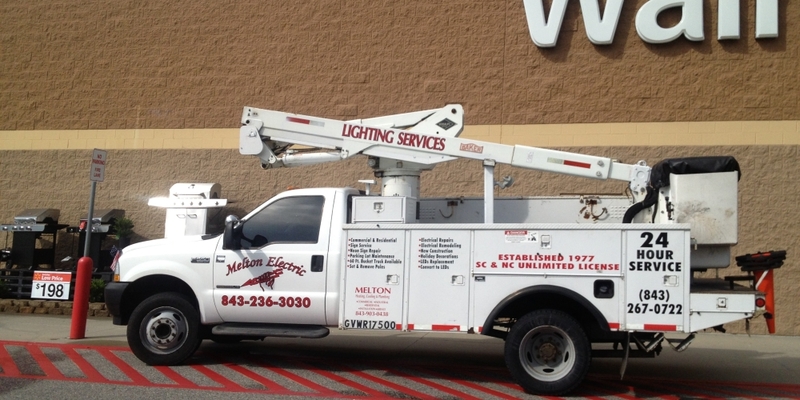 Since it’s founding in 1977 and their incorporation in 1980, Melton Electric has become one the largest electrical contractors in the Southeastern United States .Their corporate office is located at 111 Jacob Lane , Myrtle Beach , South Carolina. Unlimited license in both North and South Carolina , Melton Electric strives to provide exceptional service and quality to their customers. Melton Electric stands on a sturdy foundation of company structure from the ownership by Larry L. Melton to the direction and overseeing of the company’s highly skilled project management team. Direct communication between the project managers and the field supervisors insure that all work is coordinated and completed in a fashion that is appropriate to the high standards set by Melton Electric. We serve all of eastern North and South Carolina with electricians standing by in Charleston, SC, Myrtle Beach, SC and Wilmington, NC. In the world today technology is growing by leaps and bounds, and Melton Electric is dedicated to keeping pace through certified training, obtaining a working knowledge of telecommunications, fiber optic, PLC and SCADA systems. Specializing in utility work such as waste water treatment facilities, Melton applies their knowledge to offer complete project awareness with qualified and well organized crews of certified electricians. From startup to the completion, each project is carefully planned out and scheduled accordingly to insure optimal results. Always with the customer’s needs and goals in mind, Melton Electric will continue to support their exceptional service and stand firm behind their work one hundred percent.